2 Bdrm Top flr Flat. Hall. Lounge. Kitch. 2 Bdrms. Bathrm (CT band - B). Parking. 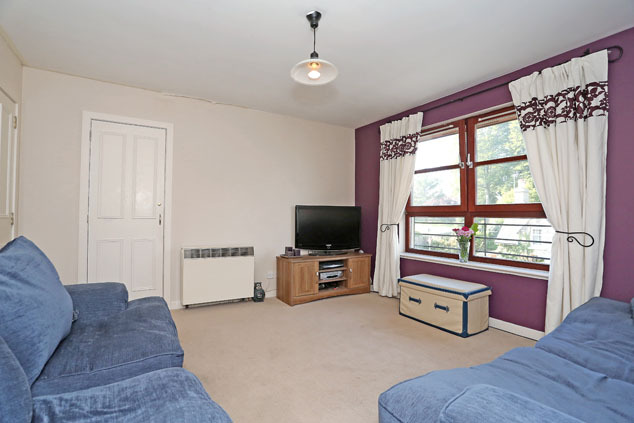 Fixed price £130,000 Entry by arr. Viewing contact solicitors. (EPC band - D). 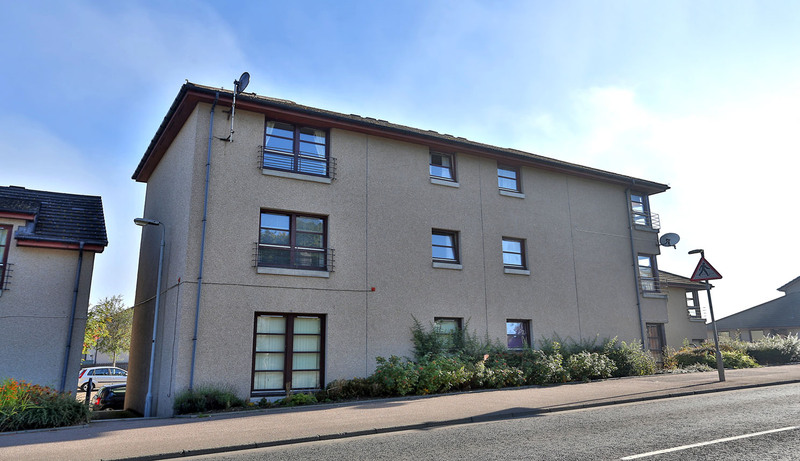 Situated within easy reach of Inverurie and all its amenities, this top floor two bedroomed flat is located within a six flatted modern purpose built building which is protected by a security entry system and has carpeted hallways and stairwells. The property offers bright and airy accommodation which is served by electric storage/panel heating and double glazing. Decorated in soft neutral tones it comprises an entrance hallway which leads to all rooms including a good sized pleasant lounge, modern fitted kitchen, two well proportioned double bedrooms and a bathroom with shower. Outside there is plenty parking available within the shared parking courtyard. 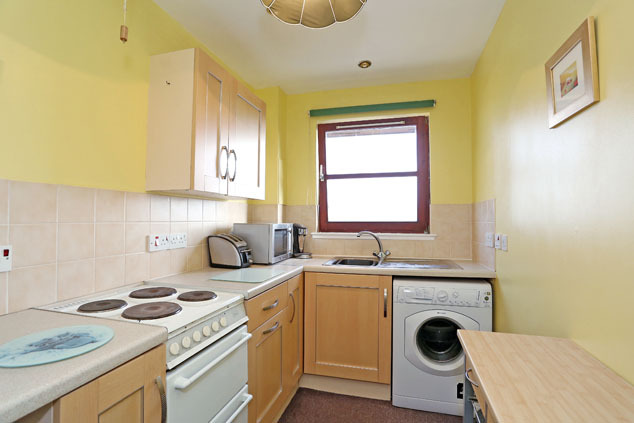 This flat represents an excellent first time purchase or buy to let investment and viewing is recommended. Inverurie a short drive away, is an expanding and prosperous town with excellent road and rail links to the north and south including Aberdeen, Dyce, Huntly and Elgin. There are several primary schools and Inverurie Academy provides secondary education. There is an excellent health centre, cottage hospital, several large supermarkets, a swimming pool and community centre nearby as well as golf, tennis, bowling and hillwalking. Entrance Hallway An exterior door leads into the hallway which gives access to all rooms. Good storage is provided by a built-in cupboard housing the hot water tank and a storage loft with access hatch and ladder. Security entry handset. Lounge 13’1” x 12’5” [3.98m x 3.78m] approx. The lounge is a pleasant room with a large window overlooking the front of the building. It has a deep built-in shelved storage cupboard and both T.V. and telephone points. Kitchen 12’6” x 6’0” [3.81m x 1.82m] approx. The kitchen is fitted with beech fronted wall and base units incorporating worktops, splashback tiling and a stainless steel sink with mixer tap and drainer. The electric cooker, fridge and freezer are included. The washing machine will be removed. Window overlooking the rear. Double Bedroom 1 11’4” x 9’9” [3.45m x 2.97m] approx. 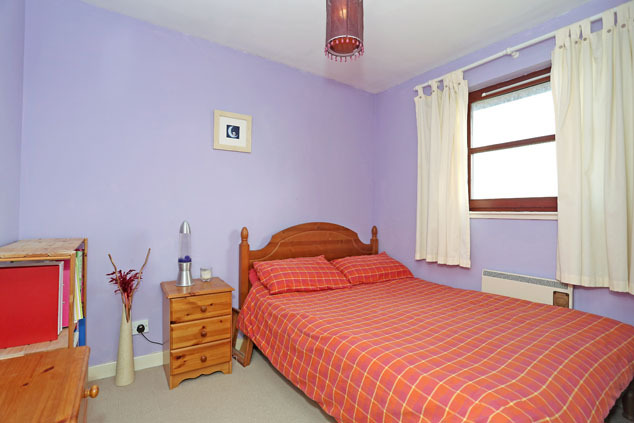 Attractively decorated this double bedroom is a good size and overlooks the front of the building. A double built-in wardrobe and further shelved cupboard provides good clothes storage. Double Bedroom 2 9’4” x 8’9” [2.84m x 2.66m] approx. 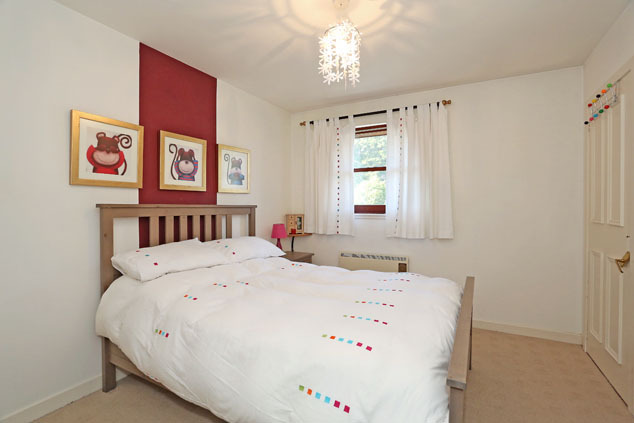 The second double bedroom overlooks the rear of the building and has space for free standing bedroom furniture. Bathroom 6’6” x 6’1” [1.98m x 1.85m] approx. 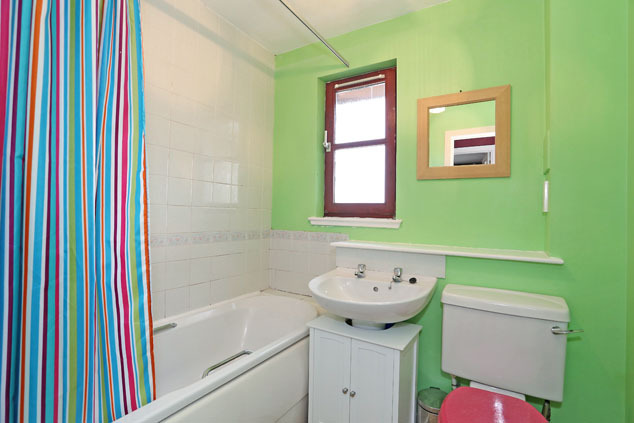 The bathroom is fitted with a white suite comprising a w.c., wash hand basin set into a vanity unit and bath with mains shower, curtain and rail installed over. Extensive wall tiling around the bath area. A rear facing opaque window allows natural light. Outside A shared parking courtyard provides ample parking spaces. Notes Electric storage/panel heating. Double glazing. EPC=D. All floor coverings, curtains, blinds and light fittings are included, together with the electric cooker, fridge and freezer. The washing machine will be removed. The date of entry is material and offers subject to survey, subject to finance or subject to the sale of the purchaser's own property will not be considered.